Unlike the Walk and Turn and the One Leg Stand, a DUI eye test such as the Horizontal Gaze Nystagmus (HGN), is not a divided attention assessment. It's sole purpose to measure tracking of eyes and ability to follow, or track, an object smoothly at different angles. The HGN test is not admissible in every jurisdiction. Some states require the officer have extra training in order for the test results used against you. In other states, the HGN test is not admissible at all. Be sure to check your local laws for more information. Please note that even if the HGN test is not admissible against you in court. This does not necessarily mean it was improper to give it to you on the scene of your arrest. What does HGN show? People who are under the influence of alcohol or drugs are said to be unable to smoothly follow an object/stimulus. Such people will display an involuntary jerking movement in their eye. HGN tests for this jerking in attempt to prove impairment showing such involuntary movement exists in person suspected of DUI. What is Nystagmus? The term "Nystagmus" refers to that involuntary jerking as described above. When a person displays Nystagmus, their eye will twitch with small, rapid movements. What's a stimulus? A stimulus is what the police use to measure your eye movements. A stimulus can be a finger, a pen, or a stick with a light on the top of it. The officer will ask you to follow the stimulus with your eyes. They move it back and forth at various speeds in horizontal manner in front of your face. What else can cause Nystagmus? Many other things can cause involuntary jerking that are totally unrelated to impairment. It is important to consult with your attorney and let them know if you are taking any medications. Also if have had any head injuries, or suffer from any kind of neurological disorders. You probably wont know ahead of time to tell the officer, and most likely he will fail to ask you. Proper Administration of the HGN: When an officer administers the HGN test to a DUI suspect in the field. They will have you follow his stimulus using your eyes only, without moving your head. As they move it slowly back and forth horizontally across your face. To produce the most accurate and reliable results, the officer must comply with all the requirements of administration. 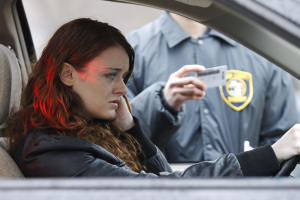 State and County variations: The HGN test and its admissibility against you in court is something that varies drastically from state to state. HGN results will not be used against you unless officer administered it is specially trained as Drug Recognition Expert (DRE). To become a DRE the officer must take extra courses and training programs specifically for purpose of administering HGN test. The problem here is that even DRE's are not doctors. They are taught how to give the test by other unqualified officers. If your officer is a DRE, it is important you make the jury at your trial to understand. It does not mean the officer is an actual expert. Most often the officer is not any more qualified to administer the test. They only got an additional day or so of training then everyone else. Officer's around the country are supposed to maintain special logs of how many HGN tests they have administered. Most jurisdictions will allow officer's to testify even if failed to maintain such log, as most fail to do so. It is important for impeachment purposes and for defending your case that your attorney ask the officer. Like how many times he has previously administered the HGN test in the field. How many of those people were ultimately arrested for driving under influence. Police are not doctors: Even the drug or DUI task force officers are not the best at administering this test. They did not go to medical school. Other reasons may explain your failure: Be sure to go over them with your attorney. Make sure you point them out to the prosecutor, judge and jury when defending your case. If you ask the wrong question, you will get the wrong answer: Police often make mistakes administering the test. They may not hold the stimulus the correct number of inches away from your face. They may forget to ask you if you had any head injuries. Invalid testing equals invalid results.